To promote, support, and strengthen businesses to create a more prosperous community. The Mission of the Evangeline Chamber of Commerce is to be a business advocate and to promote economic progress for the betterment of our communities, municipalities, and parish. The Ville Platte Chamber of Commerce was formed on June 16, 1942. On June 20, 2018, the membership of the Ville Platte Chamber of Commerce voted to change the name and scope of the Chamber to the Evangeline Chamber of Commerce. 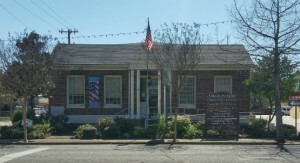 The purpose of the Evangeline Chamber of Commerce is to promote and perpetuate the business, commercial, manufacturing and civic interest of the Parish of Evangeline; to advance the agricultural interest of the Parish of Evangeline; to develop a unified public spirit in all, whereby we may put forth a unified effort in aid of our cities, towns, villages, and parish to make them more prosperous, more beautiful, and better places in which to live. Through the years we have helped promote our small businesses and culture to provide a better environment for our families. Become a member of the Evangeline Chamber of Commerce today and let’s become one voice to promote our town.